Enjoy the top 60 famous quotes, sayings and quotations by Debra Winger. It's such an amazing thing to be loved for who you are. When I was younger I probably didn't understand something basic about tact, but I think it kept faint-hearted people at arm's distance and that's not such a bad thing, because life is short and I know the kind of people I want to work with. People who make lots of money at what they do should just shut up about it. I never lost my interest in acting but I did lose my interest in the business and what I had to go through to make a film. I felt saturated, you know, like a sponge when it's saturated - it's not good. Just because we're on schedule is no reason to shoot bad acting. Someone once said to me, 'You're inconsiderate.' And I said, 'Inconsiderate? Bad acting is the ultimate inconsideration.' It's a collective slap to a million faces at the same time. But I never worried about having a child in my 40s, which is unusual - normally, I'm the queen of worry. An actress in a film starts every day with an hour and a half in front of a mirror, with hair and make-up and costumes. I don't think it is worth trying to look 10 years younger through surgery. I just live in the truth and think that every moment counts. I think when it comes to Botox and surgery, actresses should do it or not do it, but be honest about their choices. People pay to see movies with women looking beautiful, but I think there will be a place for me to play women looking my own age. Show me the story. I just want to tell a story that pulls me forward. I used to love going on a junket and promoting a film when it was not a 24-hour news cycle, and when there weren't so many media outlets. You could actually talk about the film. It's easier to change directions while you're still moving. The sexiest thing in the world is to be totally naked with your wedding band on. 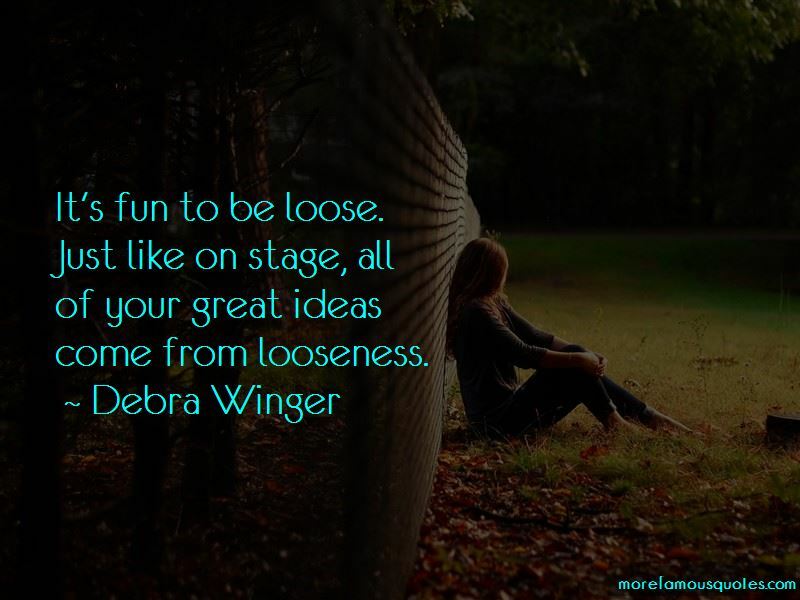 Want to see more pictures of Debra Winger quotes? 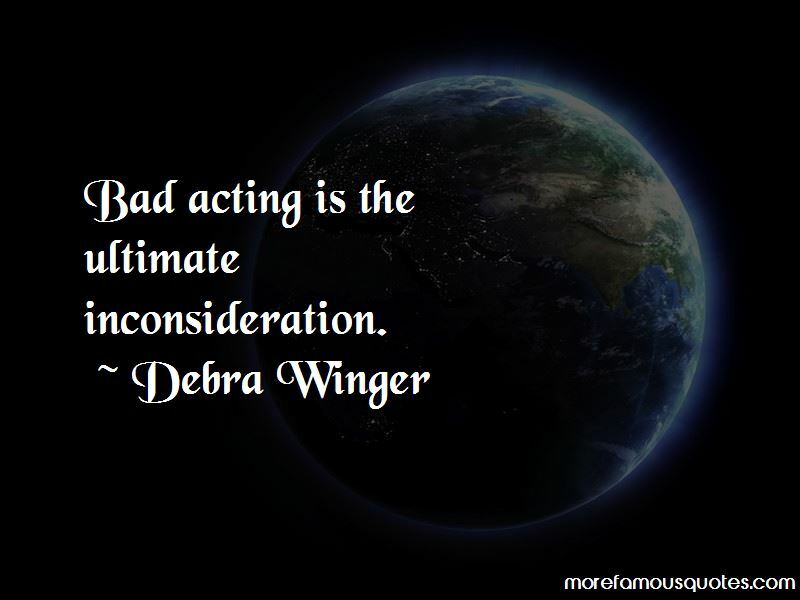 Click on image of Debra Winger quotes to view full size.